You know that feeling you get when you’re approaching the end of a certain season of your life? That huge pit that settles deep and heavy in your stomach that occasionally shifts into a herd of a million butterflies flapping their wings around inside of you? Multiply that times infinity and welcome to our recent world. Some of you know, but some of you don’t because we’ve been terribly absent in writing — we are now in the beautiful state of MAINE! Aka; the very last state of our 14-state trek. So far the terrain of this state has absolutely kicked our butts through-and-through. 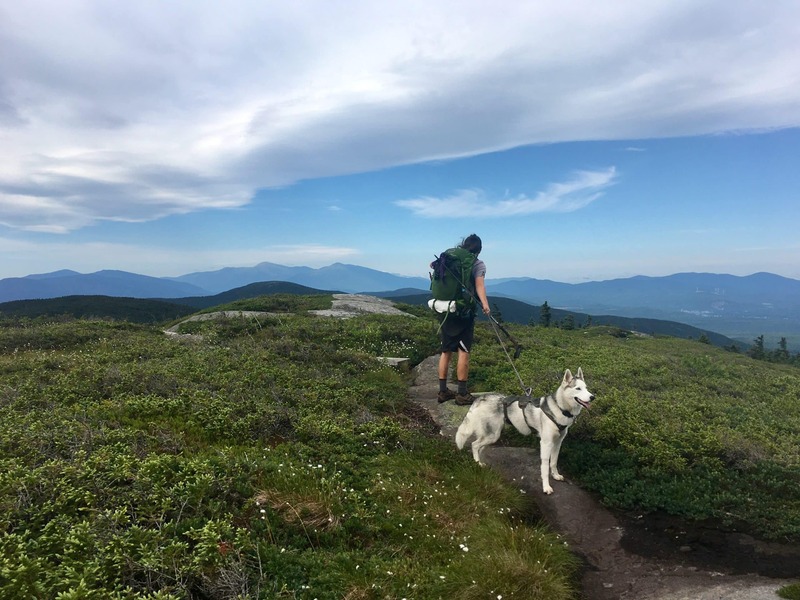 Just to give you reference; Mahoosuc Notch in Maine is known as the hardest/most fun mile of the Trail and it took us 2.5 hours to make it through. One mile. 2.5 hours. Insane!!!! 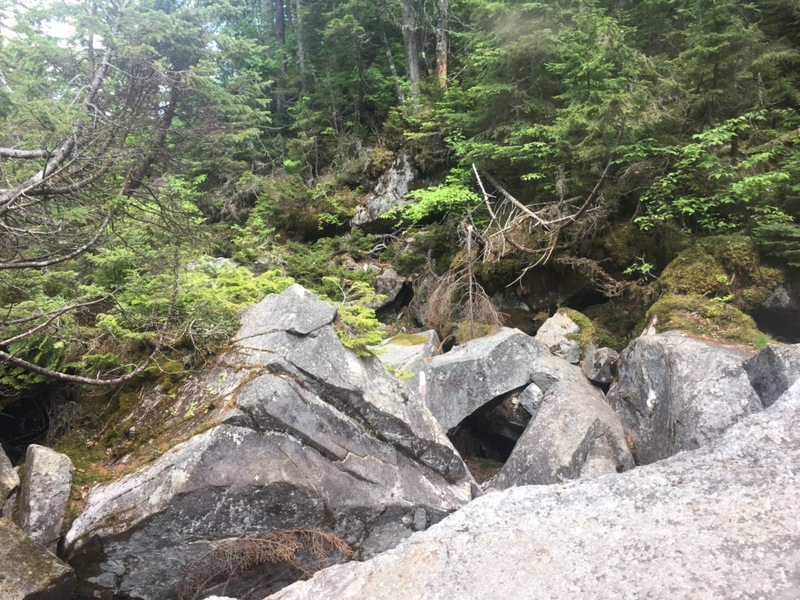 Don’t get me wrong, we’ve been in an awestruck stupor of the sheer beauty the mountains of this state, but we have also been moving at a glacial pace due to the rugged and rocky terrain, which is kind of frustrating! For so long, our minds have been set on just being done with the Trail. It’s hard to explain, but the mental wear and tear recently had been a bit more than we can handle. Thankfully we have each other to lean on during these times, but there have definitely been moments where if there had been a town nearby, we most likely would have come off and found our way home. But that’s crazy, right? I mean, to walk all of this way and still have the desire to just go home doesn’t really make sense. Thankfully, though, it’s been different for us recently. 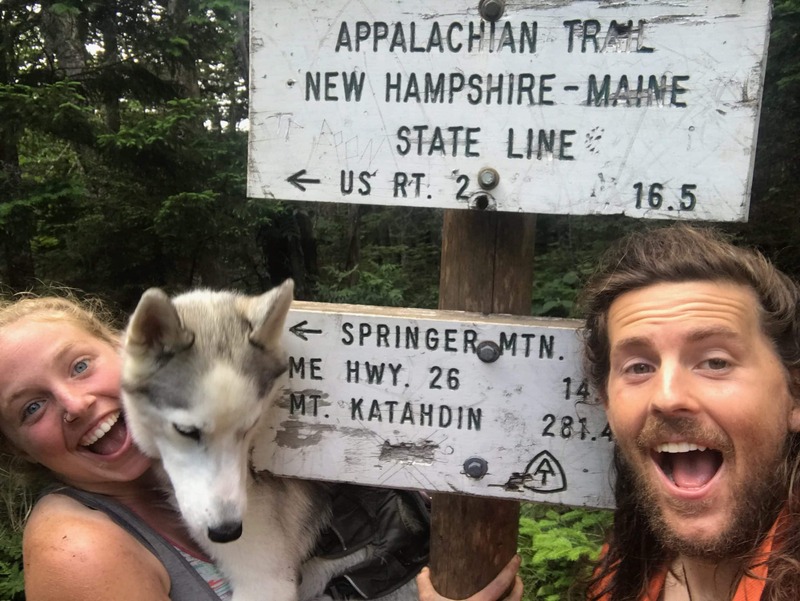 We have been told countless times that the rest of the Trail can’t really compare to the Whites in New Hampshire or the state of Maine. We were told that these sections are extremely technical and would slow us down, but that they are unmatched in beauty and splendor. So, needless to say, there was a great deal of anticipation building up in our minds and hearts before getting to New Hampshire. Beauty, splendor, grandeur…. those words don’t even begin to explain what our eyes have been taking in over the past 200 miles. To be honest, we’ve been really negative and full of complaints for the past while, which is why we hadn’t been writing to you all. We had been feeling extremely defeated and were constantly asking ourselves why we continue to put ourselves through this. 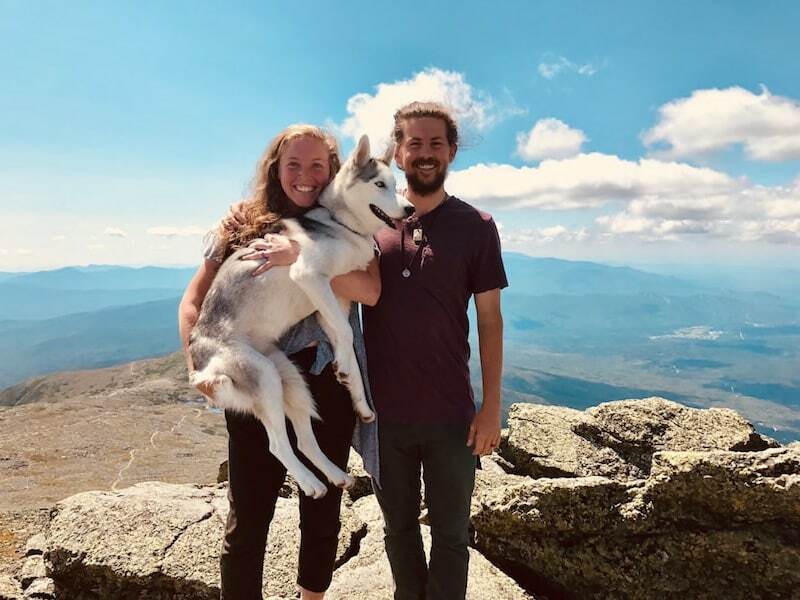 But it’s moments like hiking over Franconia Ridge, being overwhelmed with emotions by the beauty before your eyes that you WALKED 1800+ MILES TO, that inch us closer and closer to the understanding we have been seeking. It’s times of sharing memories with others in different stages of the same journey as us that remind us why we fell in love with this Trail in the first place. It’s encounters with perfect strangers who tell us how amazing and inspiring our trek is that move our hearts back to optimism and hope from desperation and despair. It’s receiving emails, texts, messages from random followers checking in on us because we hadn’t updated in a while that ensure us that we are not just walking these miles for ourselves. And as we are being pulled out of negativity and back to sheer enjoyment of every mile, we can’t help but be overwhelmed that the end is so close. 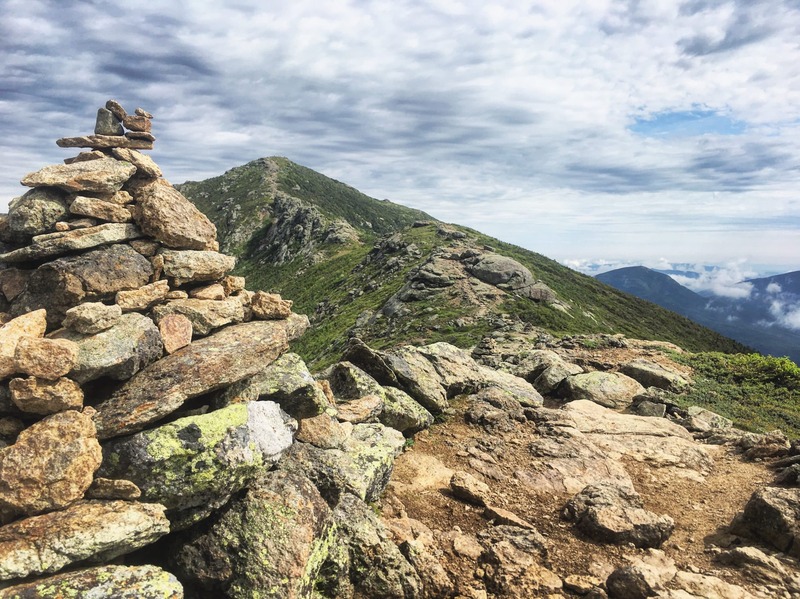 Our emotions have been all over the place recently in knowing that our time on Katahdin is coming and that this thing we ‘have been doing’ will soon shift into something we ‘have done’. Waking up each morning and falling asleep each night living in the reality that it is just one day closer to the end have made us sappy about almost every little thing. We have shared in tears many times over the past 5.5 months, but the tears these days run much deeper and speak much louder than any words we can form. We have butterflies knowing that we are about to achieve a huge dream, our first big dream together as man and wife, but we also have a pit in our stomachs knowing that soon our feet won’t be walking our beloved Trail day after day. It hurts to think about the end, but it is truly the most beautiful and full of promise pain we have ever felt. To the end, which will soon morph into our beginning… See you shortly. You two really inspire me!! I can’t even begin to imagine how you have walked so many HARD miles!! Thank you for the update, I’ve been looking for you post. Thank you for letting us flat landers enjoy your hike. Safe travels and peace to you both. I should have known you would do something like this after going to Six Flags with you! A daring young lady! We love you two so much!!! It seems like forever ago you surprised me with a visit at school, you were just beginning! Can’t wait to hug you and hear the amazing stories! I’m getting emotional just reading this! Thrilled for your accomplishment and sad that it’s coming to an end! I feel like I’ve journeyed with you in spirit! Thank you so much for sharing this incredible experience! I love you guys and cannot wait to hug you both and be able to just sit and listen to all the magnificent stories you have to share! Stay safe! See you soon! You guys are amazing!!! Thinking about you and praying for you as you get to the end! I am inspired and impressed. Glad to see there is no quit in you and the teamwork you have used to make it through tough times. My prayers remain with you. Thanks for sharing. Just love y’all to the moon and back ! Keep it coming !